One of the best feelings in the world is creating a project from your craft stash! Sometimes I forget what good stuff I have in my stash. 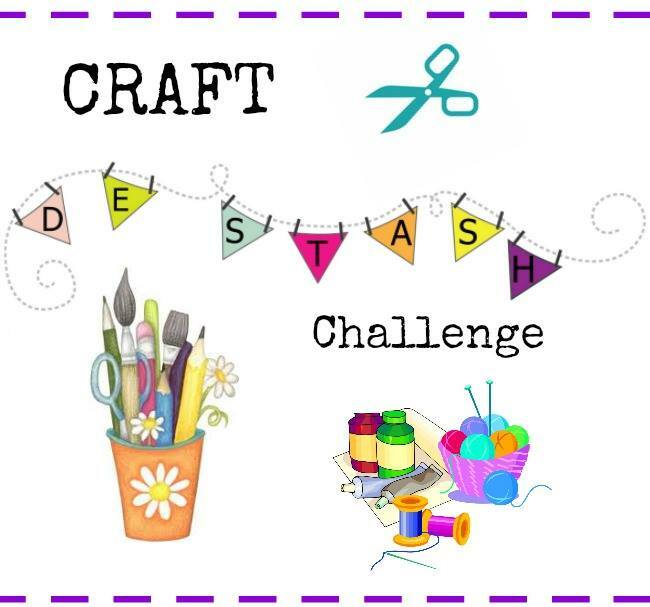 Today my blogging friends and I are brining you a Craft Destash Blog Hop! One thing I always have in my stash is scrapbook paper, I just love it! Also in my stash I have leftover glassine bags. 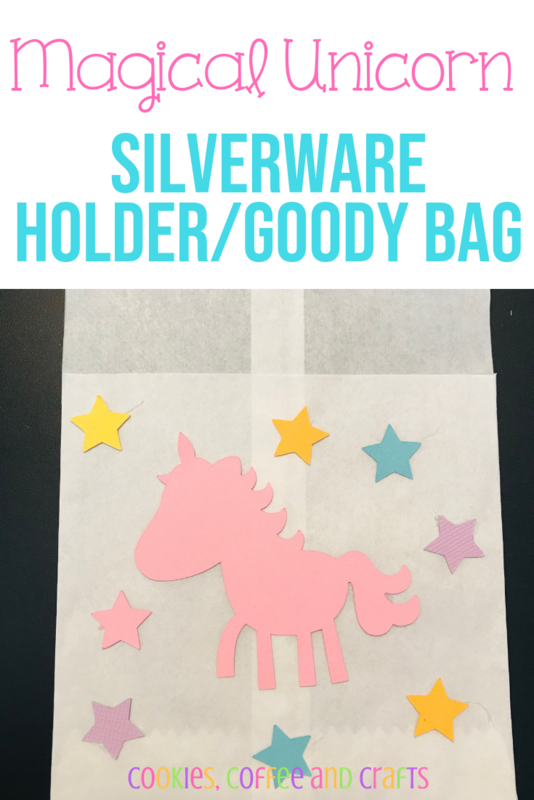 I’ll be creating a magical unicorn silverware holder/goody bag. I’m going to use it as a silverware holder for my daughters birthday, but it would make a great goody bag too. 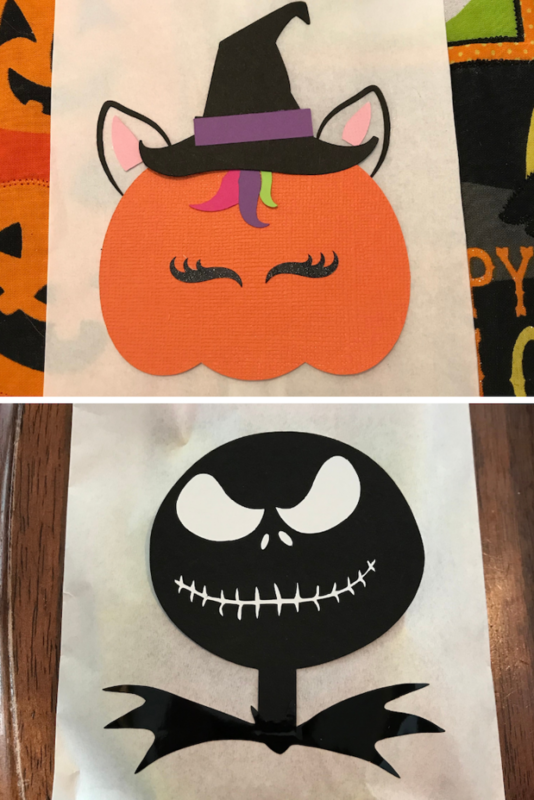 I originally bought the glassine bags and used them for my kids Halloween treat bags for their classrooms. They make great treat bags because you can decorate them and it doesn’t take a lot to fill them. My kids now request homemade treat bags for holidays. 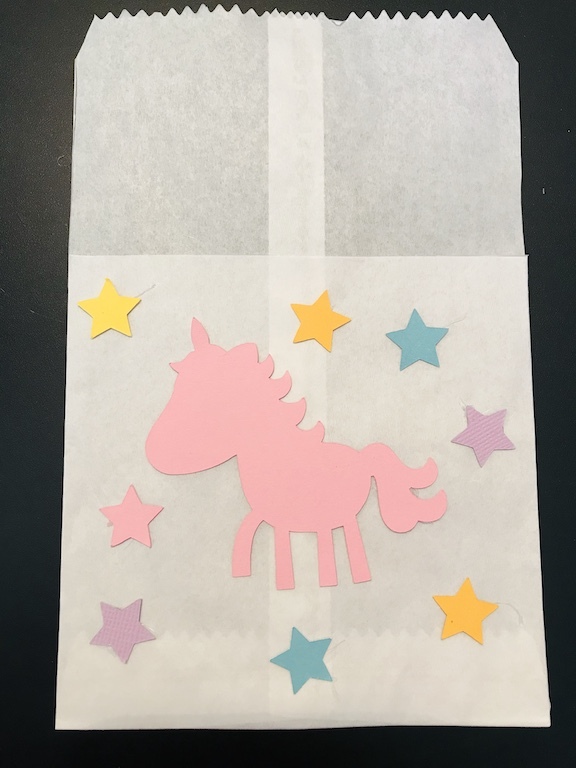 To make magical unicorn goody bags, just leave the bags whole, decorate the bag with the unicorn and stars, and add a thank you tag. 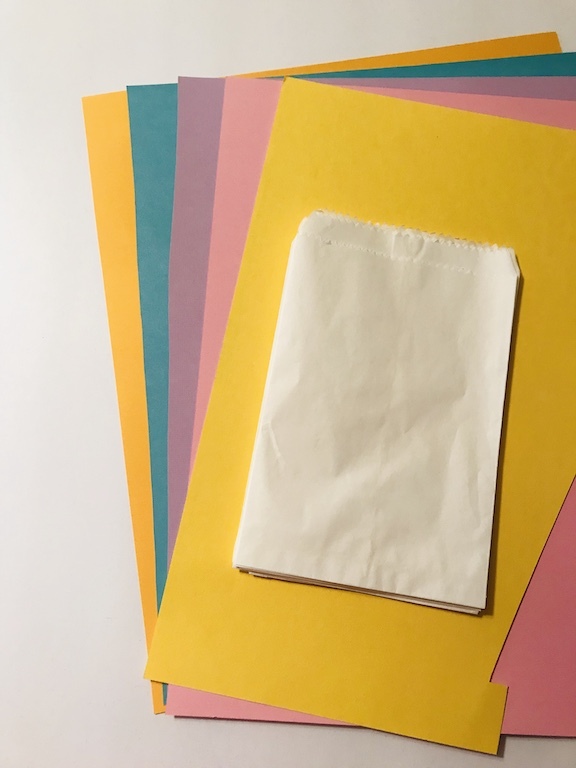 To make the silverware holder, cut down the side of the bag about 3 inches, fold the bag down and cut on the line. Remember you can always cut more or less depending on your style. My new craft mat is awesome and has a ruler right on it. It’s become one of my favorite crafting tools (thanks Mom!). 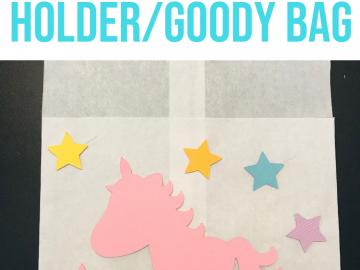 Size the unicorn decor and the stars to go on the silverware holder/goody bag. Create your design in Cricut Design Space™ and cut the image on your Cricut Maker . 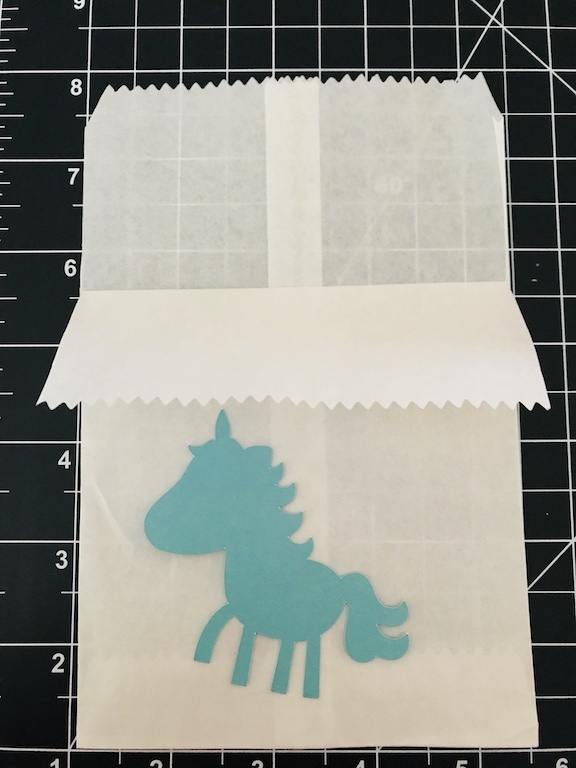 If you don’t have a cutting machine, use a Unicorn craft punch , Unicorn cut-outs or stickers to decorate the bags. 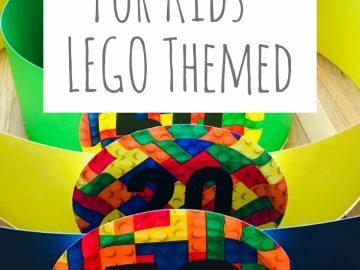 Add in your silverware, napkin or create fun magical goody bags!